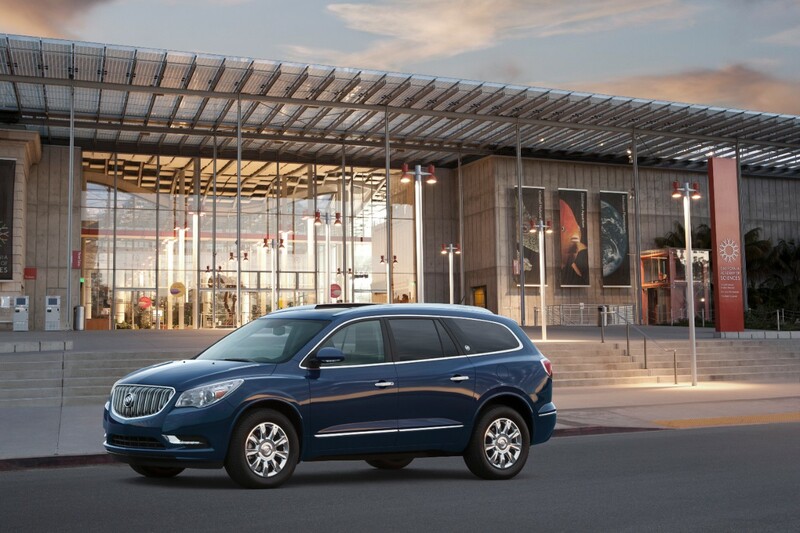 Why Buy the 2015 Buick Enclave? Information about the new 2015 Buick Enclave is out, and it looks like not much is different in this edition of the three-row luxury crossover SUV. The only changes for the 2015 Enclave are the addition of a heated steering wheel in some of the top trim Leather and Premium models and some new color options. Specifically, Dark Plum is now available for the interior, while new exterior colors include Crimson Red Tintcoat, Dark Sapphire Blue Metallic, Dark Chocolate Metallic, and Midnight Amethyst Metallic. Under the hood, you’ll still find the same 288-horsepower 3.6-liter V6 engine, along with standard six-speed automatic transmission, available in FWD or AWD. No EPA estimates on fuel efficiency are available yet, but drivers can probably expect to get 24 mpg on the highway. Where the Enclave really shines is in the safety department, with industry-first standard front center air bag, forward collision alert, lane departure and text-to-voice technology. The Enclave has three rows of seating and 23 cubic feet of cargo room, which expands to 115 cubic feet when the second and third rows are folded down. Standard features include IntelliLink, Bluetooth, apps for Pandora and Stitcher audio, a rearview camera, a USB port, HD Radio, satellite radio and voice recognition. Navigation and a ten-speaker Bose sound system are optional.